Last week, I recommended a book that discussed how to teach reading: From Reader to Reading Teacher offers a theoretical background for designing and implementing a reading program. This week, I’d like to stay with the topic of literacy since reading and writing are essential skills across the curriculum and are a challenge for most English Language Learners. Students learning to read and write in a second language face additional challenges beyond acquiring phonemic awareness and decoding skills and being able to spell correctly. 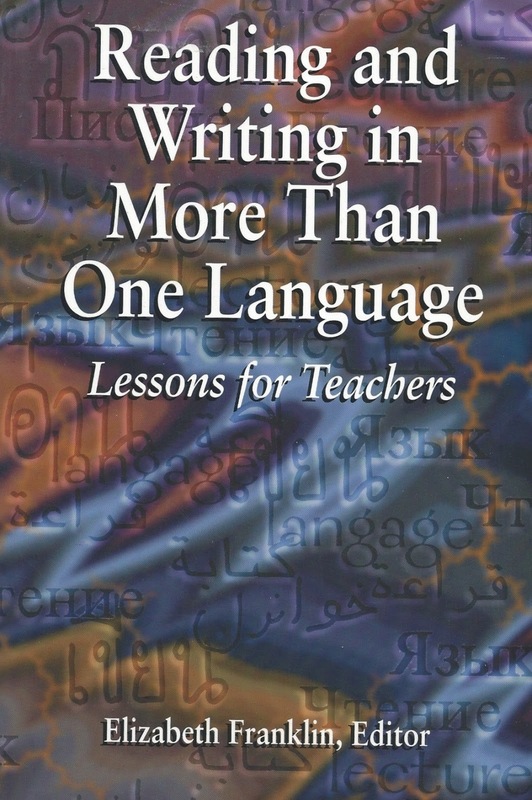 Reading and Writing in More Than One Language: Lessons for Teachers is edited by Elizabeth Franklin and includes seven chapters plus an introduction. What I like about this 149-page book is that it is filled with vignettes of ELLs in language arts classes in a wide variety of teaching contexts. It’s an easy read and there are lots of illustrations of student work. Also, each chapter has suggestions for teachers on how to implement the ideas presented in each chapter as well as a list of references and recommendations for further reading on each particular topic. Most of Reading and Writing in More Than One Language consists of descriptions of students and analyses of their work, with only a little theory thrown in. Teachers of ELLs as well as mainstream and special education teachers will surely find something in this book that is applicable to their own teaching.